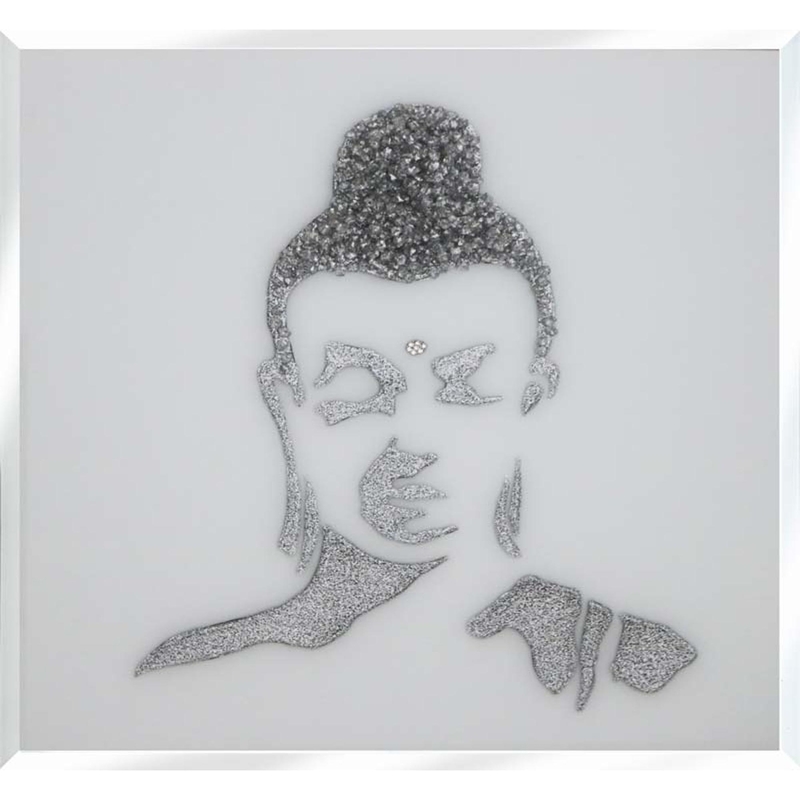 Enhance your home with this traditional yet chic Silver Glitter Buddha. Presenting in a range of sizes such as 75cmx75cm, 100cmx60cn and 120cmx80cm. This piece was hand finished in the UK and has cluster crystals in the buddha design, encased in glitter liquid glass making this piece quite glamorous as well as cultural. You wont fail to impress with this art work.